Commercial Wi-Fi equipment for any demanding outdoor environment requiring cost-effective, controller-managed WLAN Access Points. Optimized for enterprise, education, or industrial campuses, public Wi-Fi, and hospitality. made to withstand demanding outdoor environments, resistant to wind, sand and rain, and prevent internal damage from moisture accumulation. Compelling radio features bundled with the simplicity of controller-less roaming - Automatic Channel Scanning (ACS), band steering, pre-set SSID scheduling, and more. For high demand deployments - events, public, or high-capacity outdoor campus Wi-Fi - cnPilot can handle it all, with 256 max concurrent client associations, Dual band (2.4 GHz and 5 GHz) concurrent access, up to 16 SSIDs, and approval for use with DFS channels. cnPilot APs feature two Gigabit Ethernet ports and an AUX port capability, enabling outdoor deployment anywhere with additional power available for another backhaul radio, security camera, or other additional equipment. Notes: e500 APs feature two Gigabit Ethernet ports and an AUX port capability, enabling outdoor deployment anywhere with additional power available for another backhaul radio, security camera, or other additional equipment. 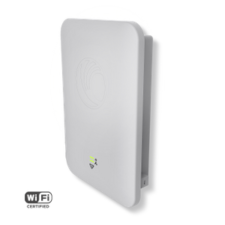 Notes: The e501S 802.11ac Outdoor Sector Access Point includes an IP67 enclosure, 90° ~ 120° integrated sector antenna, supports 256 client associations, 16 SSIDs, WPA-2 encryption, Dynamic VLANs, DFS channels, Access Control Lists (ACL), and more. 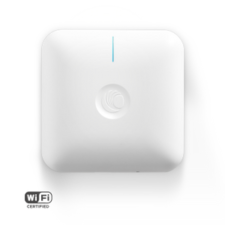 Notes: The e502S 802.11ac Outdoor Sector Access Point includes an IP67 enclosure, 30° integrated sector antenna, supports 256 client associations, 16 SSIDs, WPA-2 encryption, Dynamic VLANs, DFS channels, Access Control Lists (ACL), and more.